Marketing content writing can be an extremely difficult and mind-bending process for many small businesses, including writers. To reach its full effectiveness, marketing content writing must do more than provide information on the product or service — one must understand who the market is in order to best present the information in a potent and compelling manner. 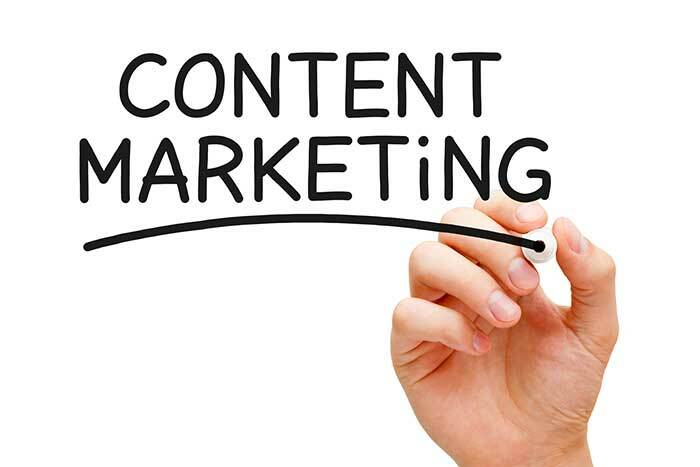 Effective marketing content writing involves knowing how to efficiently combine informative content with a sales pitch technique that can be either subtle or overt, depending upon the client’s needs. It must speak to the intended market while also being able to get the attention of and draw from tangential markets. Steven can provide marketing content writing for most any need, be it a product description, landing page, social media or blog post, or even reviewing your existing content to find ways to improve it. Search Engine Optimization (SEO): Marketing content writing for online use will be written to current SEO best practice standards. This includes proper, effective formatting; keyword placement; and more. Keyword Determination: If meant for online marketing, Steven will work with you to determine which keywords are most likely to provide the best results for your purposes. You having access to analytics data is ideal, otherwise some research may be required to determine likely keyword choices that suit your product or service. Targeted Call to Action: Using his years of market research and marketing experience, Steven can craft an appropriate and on-target sales pitch / call to action that hits the bull’s eye. HTML: Steven is proficient with HTML, and can provide your marketing content already marked up, if desired. Priced for self-publishing authors and small business owners, the marketing content writing services provided by Steven Trustrum is reasonably set at $0.05 USD per word (Paypal or Interac preferred.) This rate takes into consideration the combined skills of an experienced writer, editor, publisher, and online marketing professional who spent over a decade working in market research, helping clients figure out new ways to sell things to customers. Additional costs may be required to account for additional research, the need for extensive communication with the client, and other factors that dramatically affect the amount of time a project requires for completion. The following are some examples of the sort of marketing content writing projects you may have so you may see what the cost may be for a typical word length for a project of that type. Rates include the cost of one “round” of minor revisions; the more detailed instructions you provide before the project begins, the more likely the work is to suit your intentions the first time. If additional editing or revising is required, an additional payment may be needed. Article Sample: This PDF includes two sample articles I wrote for a company that provided information on small business financing. They were written to SEO best practice standards using client-provided keywords. Blog Sample: This PDF contains two sample blog posts I wrote for different clients to their respective specifications. Both were written to SEO best practice standards using client-provided keywords. Client Testimonial Article: The PDF contains a client testimonial/case study I wrote regarding one of the client’s customers. I conducted the interview and then wrote the article to SEO best practice standards using client-provided keywords. The purpose was to use the article as an entry point to their website’s conversion funnel. How-To Article: The article was written as an informative article to help visiting traffic with a particular IT issue. I researched and then wrote the article to SEO best practice standards. Splat SEO Content: The PDF contains numerous brief content samples that are intended to saturate the client’s website with the provided keywords. This was intended to act as an entry point for the client’s conversion funnel. If you wish Steven to write marketing content for your website, you may also want to look at his website analysis report. Please feel encouraged to email Steven Trustrum for more details about rates and details of his marketing content writing services.